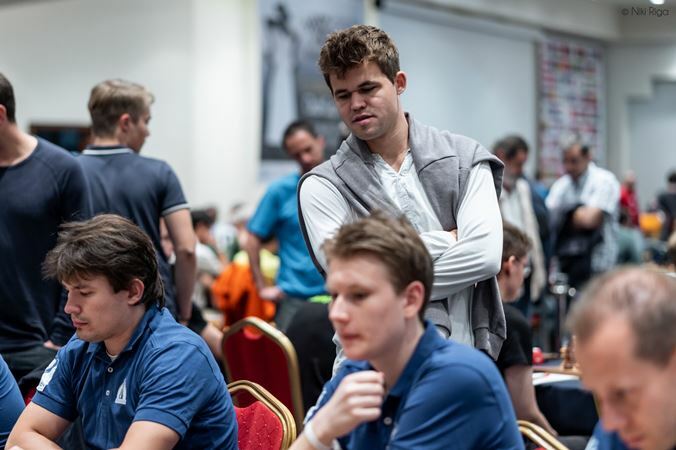 2800-players Magnus Carlsen, Ding Liren and Shakhriyar Mamedyarov all play in the 34th European Club Cup, which began in the Porto Carras Grand Resort in Chalkidi, Greece on Friday. 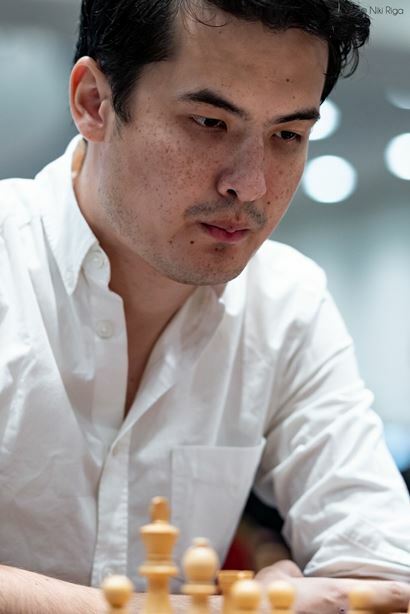 The favourites navigated the first round without difficulty, but things will be heating up in Round 2, when Magnus starts his campaign against 2011 European Champion Vladimir Potkin in a match where his team Valerenga are only slight favourites. With 61 teams, this year’s open tournament features almost double the number in Antalya in 2017, though sadly we’re missing the defending champions Globus, who last year boasted a line-up of Kramnik, Mamedyarov, Grischuk, Karjakin, Giri, Nepomniachtchi, Korobov and Khismatullin. 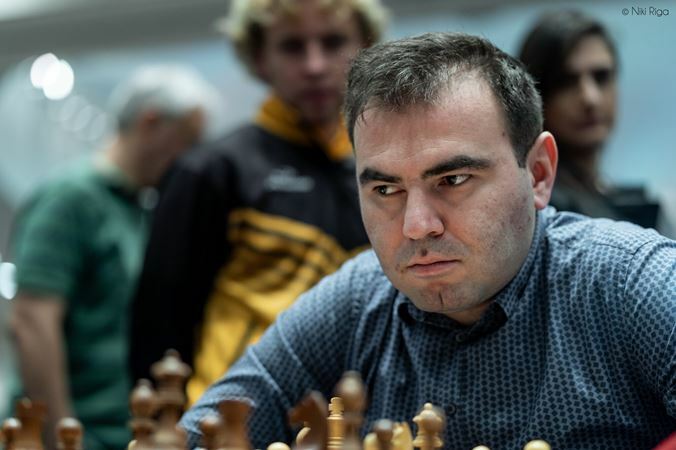 Mamedyarov is the only one of those players to find employment in another team. His presence boosts the strength of Odlar Yurdu, which is essentially the Azerbaijan national squad. 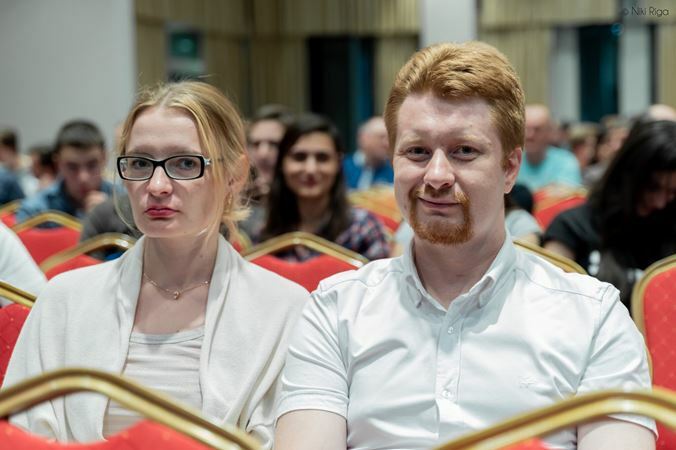 The new favourites are last year’s runners-up, Alkaloid, who feature Ding Liren, Yu Yangyi, Andreikin, Jakovenko and Eljanov, though they’ll face stiff competition from AVE Novy Bor (Wojtaszek, Harikrishna, Navara, Vidit), Mednyi Vsadnik (Svidler, Vitiugov, Fedoseev, Matlakov), Obiettivo Risarcimento Padova (Wang Hao, Leko, Vallejo) and Valerenga Sjakklubb (Carlsen, Howell, Grandelius). 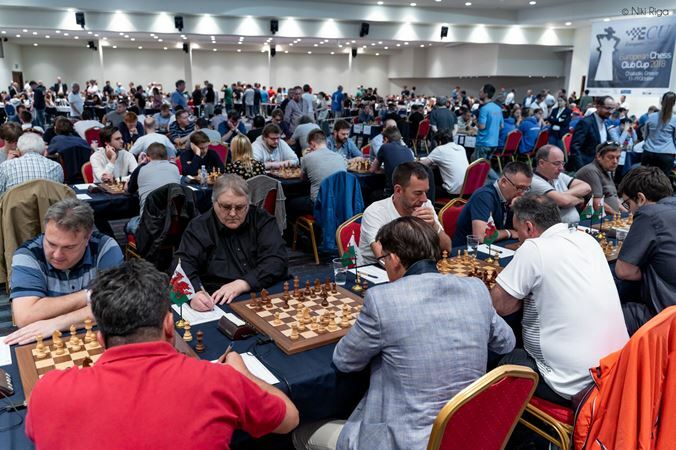 Matches in the open section of the Euro Club Cup are played over six boards, so it’s even tougher than in the Olympiad for the underdogs to put up resistance at the start against the top teams. There were no real upsets in Round 1, with five of the first six matches ending in 6:0 whitewashes. 32.Qxg4! would stop the threat of back rank mate and allow white to pick up the queen on d4 next move. It’s perfectly possible Nikita’s class would have been enough to win the ensuing position, but objectively it should be a draw. Instead, with Richard down to just over a minute for his remaining moves, he played 32.Nf4?, when after 32…Rxe3! it really is game over. But no, he found 46…Qxc6! and suddenly the tables had turned! The queen can’t be taken, of course, due to the back-rank mate, and after 47.Qa1 Peter’s 47…e2! renewed the threat. White stumbled on for a few more moves, but soon had to resign, since the black e-pawn would cost him his queen. 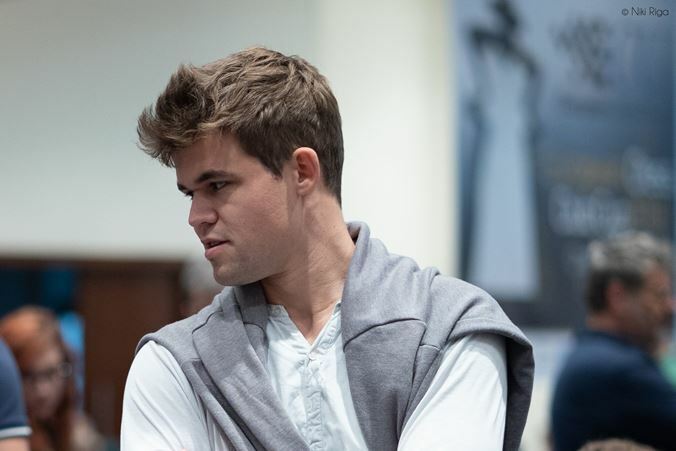 Carlsen’s stand-in, David Howell, dodged the Petroff bullet with 1.c4, but couldn’t convert an extra pawn against Twan Burg in a game that went all the way to bare kings. On board two, 19-year-old Norwegian former World Junior Champion Aryan Tari even lost, though it was to a strong player, Dutch Grandmaster Roeland Pruijssers (check out his chess24 video series on the Dutch Defence and the Jaenisch Gambit). Aryan’s 28.R2d7? !, based on pinning the e4-bishop, was a little too clever. After 29.Rxh3 Re8 30.Re2 Rde7 31.Kd2! Rxe4 32.Rxh7+ Kc6 33.Rxe4 Rxe4 34.Rh6! Black had won back the bishop, but at the price of a pawn. It may well have been possible to hold after that, but Roeland went on to convert his advantage. The ratings gap told on the lower boards, however, with Valerenga winning the remaining games for a 4.5:1.5 victory. He's a decent guy, but I'm not friends with my rivals - that's not the way I roll! I thought there would be less pressure, and also it's kind of a smaller event which is easier to navigate... It also fits into my general plans better. That name means “youth” in Russian, and apart from 36-year-old Vladimir Potkin the ages of the Russian team are Paravyan (20), Yuffa (21), Chigaev (21), Antipov (21), Lomasov (16) and Golubov (17). 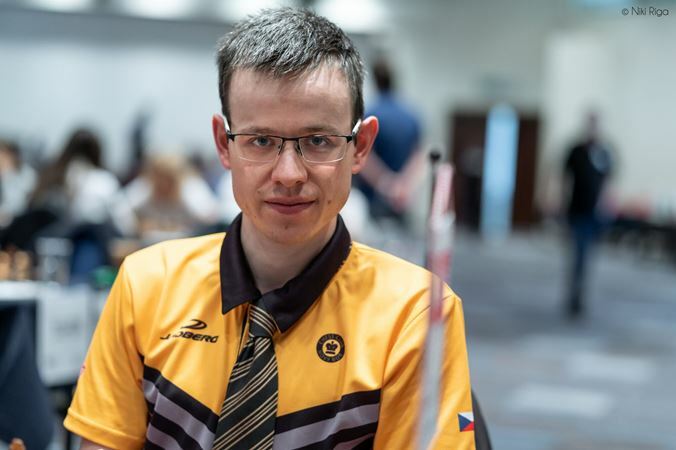 Valerenga will be hoping David Howell and Nils Grandelius in particular continue their fine form from the Olympiad, while Magnus faces a renowned coach who gave him some help during the 2014 World Championship match against Vishy Anand in Sochi. In a way it’s only symbolic, but it has also been a part of my identity for many years… I do not want to be second-ranked during the World Championship match. Valerenga-Molodezhka looks like the match to watch in the open section, but we’ll also get our first glimpse of Ding Liren, Peter Svidler and others in the tournament. One match-up is a blast from the past, as Jon Speelman takes on Alexander Khalifman. In the women’s section, which this year will have a twist with a knockout-format for the final two rounds, we already have big teams meeting in Round 2.